There will be games, prizes, candy, and SO MUCH MORE! 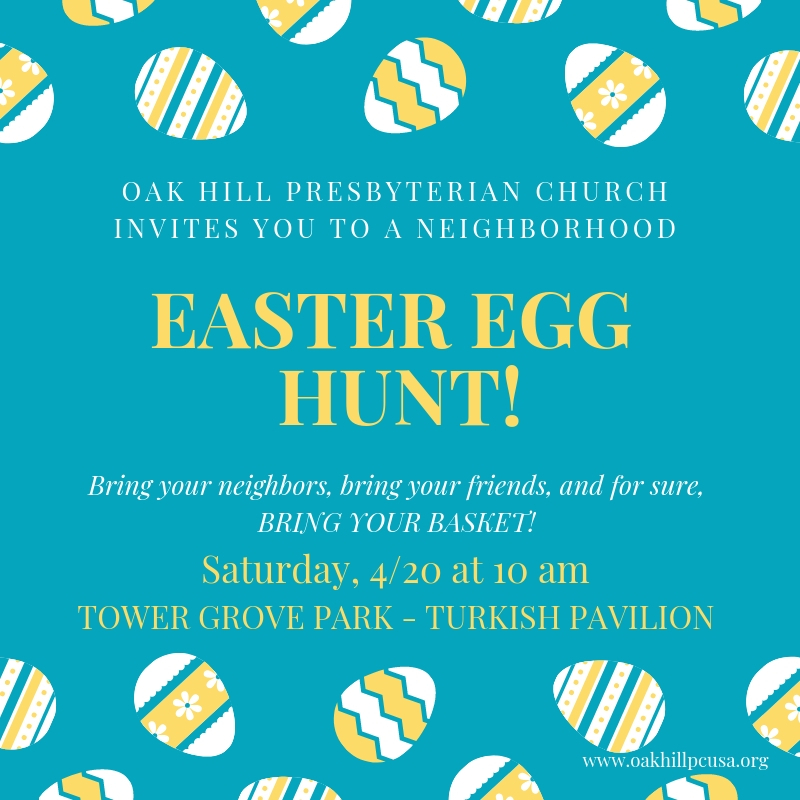 Join us in the park on Saturday, April 20th at 10am. We’ll send the little ones hunting first, then let the bigger kids go, too! See you there!